High fuel prices are putting pressure on airlines to fly the most fuel-efficient planes available, and that’s the main force behind airplane manufacturers’ big order books and big plans. Airbus and Boeing are building today’s models as fast as they can, but they’re also planning what comes next. And a few other manufacturers would like to get more of the action. Here’s a roundup of the latest new planes and what they offer. New models, with new-technology engines and aerodynamic tweaks, will provide roughly a 15 percent improvement in fuel consumption. Right now, the biggest question that Airbus and Boeing face in creating these new models is whether to keep "stretching" and tweaking existing designs or go for a completely new "clean sheet" approach. For passengers, at best, increased fuel efficiency will translate into lower fares, or at least smaller fare increases. Each new or improved model will also stress increased baggage storage that can accommodate wheeled carry-on bags wheels first in overhead bins. 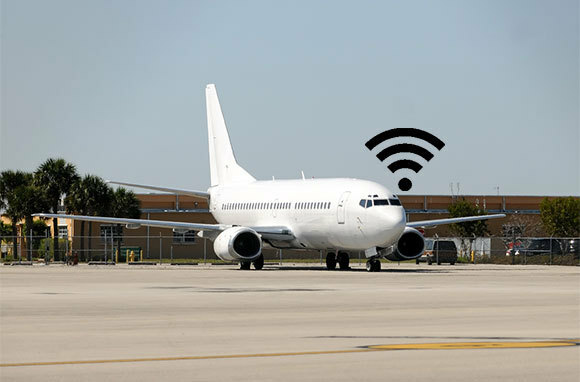 And most airlines will install advanced onboard electronics, with improved displays—typically, individual units at each seat—and most will be equipped to provide onboard Wi-Fi and power. Some of the all-new models will provide better cabin pressurization and humidification, and most will provide cosmetic improvements such as LED lighting and better noise suppression. But the reality is that improvements for passengers, if any, are marginal benefits at best. And regardless of the airplane's design, how well travelers fare depends on how each airline decides to outfit its planes. For example, while lie-flat seats are already the new standard for international business class, regular economy will keep getting worse in terms of narrower seats and reduced legroom. "New" in 2013 is surely not what Boeing intended, but for a long list of reasons (Boeing endured, first, a laundry list of supplier and manufacturing glitches, only to face a battery problem once deliveries actually started), the B787 is about four years late getting into service. 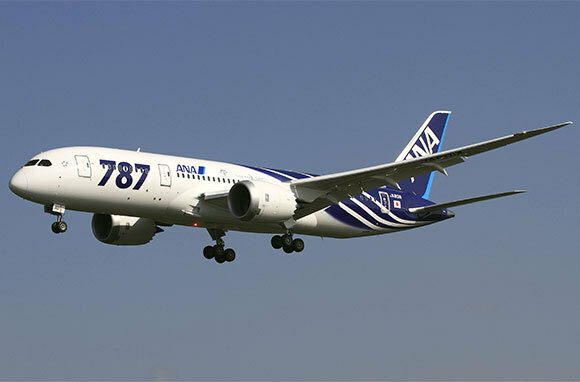 The B787 features wide use of composite materials, which are lighter than aluminum and more resistant to corrosion. The B787 was designed initially for "long, thin" routes that require extended range but lack enough traffic to support nonstops with B747s, B777s, or A380s. After an initial break-in period with shorter flights, the B787 will begin flying nonstop on routes such as Denver to Tokyo. It will also replace Boeing's aging 767 on shorter intercontinental routes. What's to Like: The B787 will fly nonstop on routes that would otherwise require connections, cutting trip time by two to four hours. The B787 offers the lowest cabin altitude of any transport and high cabin humidity, both of which mean far fewer respiratory problems for flyers. Windows on the B787 are the largest in the industry. Economy will be good for airlines that opt for eight-across seating, but most lines have opted for nine across, which means seating will be as tight as it is on the undersized B737s. Who's Ordering: Boeing has booked more than 1,000 orders and delivered more than 50. So far, United is the only North American airline actually operating the B787, with future orders from Air Canada, American, and Delta. 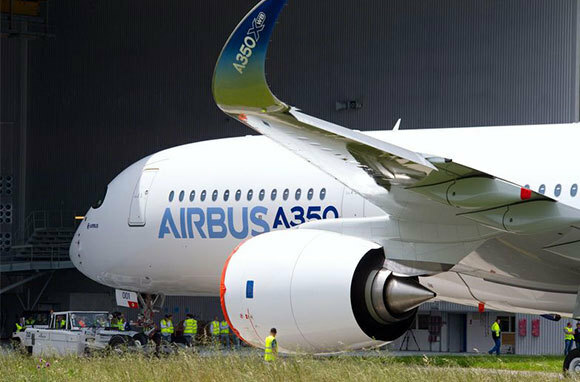 Airbus is readying its all-new A350 for its first flight. Like the Boeing 787, it features lots of composite materials that lower weight and allow for lower cabin altitude and higher cabin humidity than on current jets. Airbus is offering the A350 in three sizes, with smaller models to replace A330s and B767s and compete with B787s and the largest model to compete with B777-200s. What's to Like: The cabin on the A350 is a few inches wider than that of the B787 and about a foot narrower than that of the B777, meaning it can accommodate nine-across economy seats that are half an inch wider than nine-across B787 seats. It can also accommodate—barely—very tight 10-across seating. Who's Ordering: Airbus has booked more than 600 orders, with initial deliveries planned in 2014 for the smallest model and 2017 for the growth models. 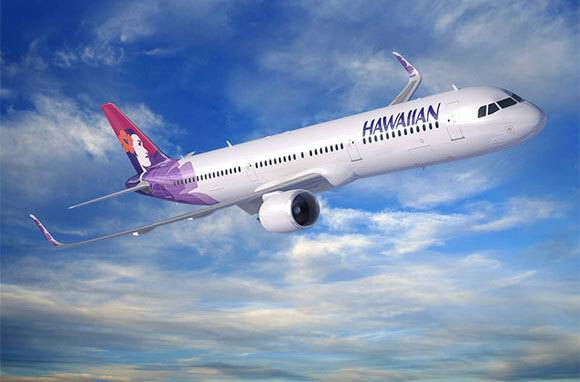 North American airlines that have ordered the A350 include Hawaiian, United, and US Airways, plus leasing companies. Bombardier's new C Series models are designed to replace the smallest older A318s, B717s, and B737s and to compete with the smallest current A319s and B737s. Shortened versions of bigger planes are typically less attractive economically then their higher-capacity originals, and recent airline orders have generally focused on the larger versions. 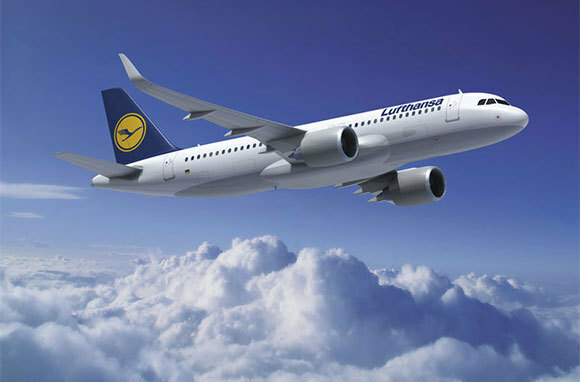 In fact, Airbus isn't even offering an updated model of its small A318. But airlines still need planes that carry 100 to 150 people economically, and that is the market that Bombardier targets with its two C Series models: the 110 to 125-seat CS100 and the 130 to 160-seat CS300. What's to Like: The C Series cabins are designed for five-across economy seating, and, in general, the interior resembles that of mid-sized DC9s and B717s. But the C Series cabin is several inches wider than that of the DC9 and B717, which means that seats are among the widest on any current jet. Who's Ordering: Bombardier has booked 177 orders, with initial deliveries planned for 2014. Among North American lines, Republic has placed firm orders (for its regional subsidiaries and Frontier) and Porter has placed conditional orders, depending on whether its proposal to extend the runway at Toronto's lakefront Billy Bishop Airport succeeds. Boeing's 777 took over the role of the world's dominant big jet from the B747, and so far the larger B777-300 models have no direct competitor in their size. Similarly, the B777-200LR has no competitor for ultra-long-range flights. But the original B777-200 market has dropped off sharply, and it is vulnerable to competition from Boeing's own 787-9 and 787-10 as well as the A350. Accordingly, Boeing has started designing two new B777X versions, with improved engines and a new wing design that incorporates composite construction. The B777-9X version will increase capacity to more than 400 passengers—more than the A350 can accommodate. The B777-8LX, able to fly nonstop almost 11,000 miles, will maintain Boeing's position as the longest-range commercial plane available and will finally achieve the industry's holy grail of long-haul nonstop routes, Sydney to London, along with other marathons such as Los Angeles to Singapore. What's to Like: Because the cabin won't change much, the traveler's experience on the B777X models is not likely to change. As of now, nine-across economy seats will be among the best; 10-across seating will be tight. 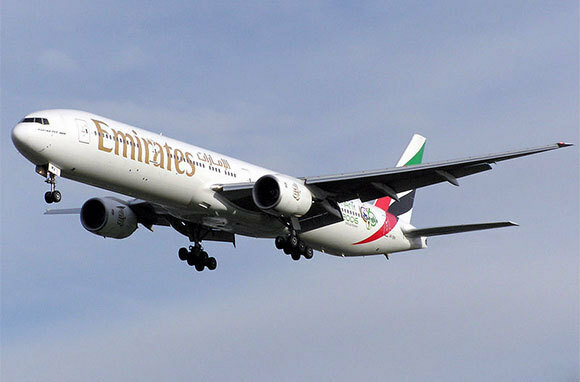 Who's Ordering: So far, Boeing has not yet booked any orders for the B777X, but industry sources say that Boeing has been working closely with Emirates on the designs, so that line is obviously a likely buyer. 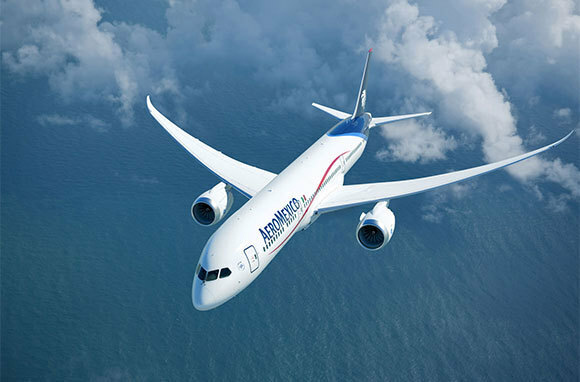 Also, some lines may convert existing B777 orders to the new models. These redesigned B777s are targeted for delivery sometime around 2019. Airbus kicked off the current single-aisle improvement movement in 2010 when it announced "neo" (for "new engine option") versions of its popular A319, A320, and A321 family. The new engines, along with some minor airframe tweaking, promise fuel reductions of up to 15 percent compared with current models. Airlines have the choice of a radical new "geared fan" engine from Pratt & Whitney or an evolutionary design from CFM International. In addition to replacing both older and current A320s and B737s, the neo models, with either engine, should have enough range to replace the venerable B757s on transatlantic flights from the eastern United States. What's to Like: Passengers flying on A320neo models will hardly notice any difference from current models. As of now, economy seats are a bit wider than seats on B737s. Who's Ordering: Airbus has already booked more than 2,000 orders, with initial deliveries scheduled for 2015. North American airlines that have ordered A320neos include American, Hawaiian, JetBlue, Republic, Spirit, and Virgin America. In addition, leasing companies have ordered a bunch that could wind up anywhere. 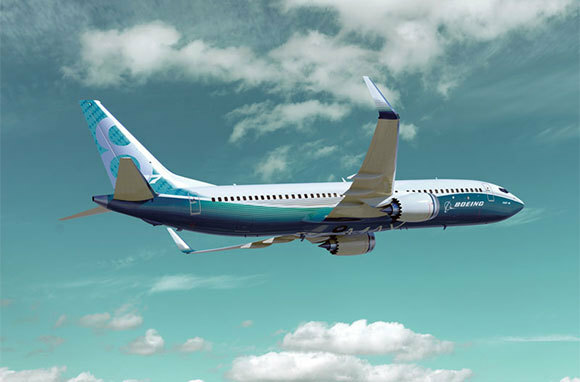 Boeing had been leaning toward a clean-sheet B737 replacement for late in the next decade, but the Airbus 320neo announcement forced Boeing to move sooner. It adopted a similar strategy to Airbus for the B737 MAX Series, which was introduced in 2011. Boeing makes the same claims to better fuel economy and increased range as Airbus, and the B737 MAX Series targets the same market niche as the A320neo, including transatlantic flights from the East Coast. For technical reasons, Boeing can't fit the new Pratt & Whitney engine on the B737 airframe, so it offers only the CFM International engine. At this point, both Pratt & Whitney and CFM International promise similar improvements in fuel efficiency. But if the Pratt & Whitney geared-fan technology shows an edge, Boeing will face an agonizing reappraisal and be forced into an early clean-sheet replacement design. What's to Like: From a passenger viewpoint, the B737 MAX Series will remain at a disadvantage to the A320neo Series because of its narrower cabin and the resultant use of narrower economy seats. Who's Ordering: Boeing has booked more than 1,300 orders for the B737 MAX Series, with initial deliveries scheduled for 2017. North American airlines that have placed orders include Alaska, American, Southwest, and United, plus several big leasing companies. As with Airbus, B737 MAX models will come in three sizes, although only Southwest has ordered the smallest version. So far, Boeing has had more than enough trouble getting the Dreamliner right, and the four-year delay has given Airbus a huge boost for its A350 designs. But Boeing is currently working on a stretched B787-9 version, with a further stretch in the B787-10 to follow, and both are designed to replace B767s and A330s and to compete with various A350 versions. What's to Like: As with current operators, the economy cabin in these stretched B787s will be quite comfortable at eight across and very tight at nine across. Sadly, most current customers have opted for the nine-across installation. Who's Ordering: As noted, Boeing has a total of just under 1,000 orders—about 535 for the current B787-8 model, 355 for the new B787-9, and 30 for the B787-10. United flies the original B787-8; Air Canada, American, and Delta have ordered the B787-8; and American has ordered the B787-9 variant. Manufacturers in China, Japan, and Russia are building single-aisle planes to compete with the best-selling Western planes. Although they haven't yet made much of an inroad into North American or European markets, this could change quickly, especially if the planes prove to be economical. 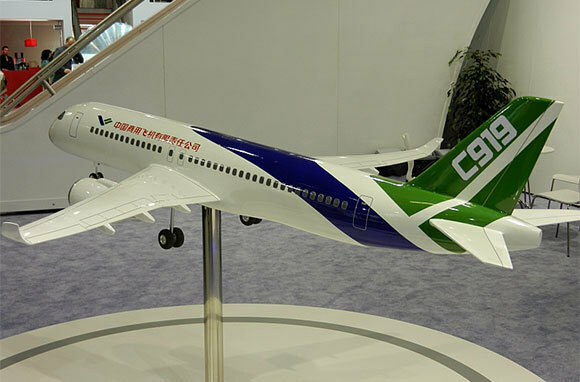 China's Comac 919, currently under development, targets 168 to 190 seats, the same range as the larger A320s and B737s. Although it will use Western engines, at least initially, it will probably not beat the A320neo or B737 MAX on fuel consumption. But to offset that possible disadvantage, it is speculated that the sales price will be substantially lower. Comac has booked almost 400 orders, all from within China, for introduction in 2016. Japan's Mitsubishi Regional Jet (MRJ), carrying 70 to 90 passengers, is actually the launch customer for a small version of Pratt & Whitney's geared-fan engine. It has received more than 300 orders and options, for delivery starting in 2015 or 2016. MRJ has scored an order in the U.S. from SkyWest. 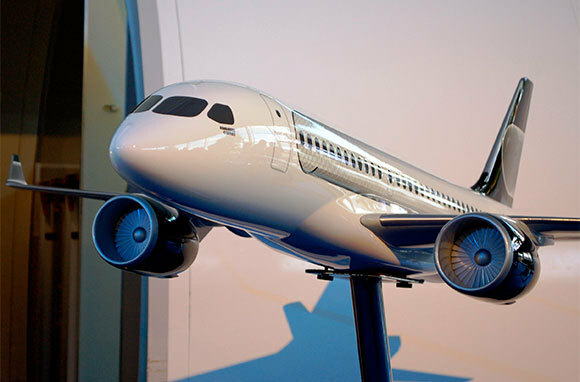 Russia's Sukhoi Superjet 100, with models seating 70 to 100, is already flying. Sukhoi has booked more than 200 orders and is currently flying with Aeroflot and three smaller Asian lines. Like its competitors, it claims superior economics, based in part on a very low selling price. With the current state-of-the-art A350, B787, and C Series, plus the improved A320, B737, and B777, commercial transports will probably remain about as they are now through the next decade. But by 2030 or so, some radical new technologies could emerge—even sooner, if some airframer has enough money to risk. 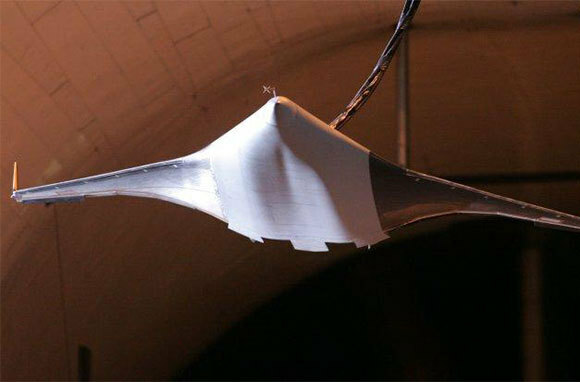 The most promising technology, "blended wing" or "hybrid wing body," can potentially offer huge operating-cost reductions compared with today's universal tube-plus-wings approach. A blended-wing plane has an airfoil-shaped body with wings that blend smoothly into the body. The design has been studied since 1924, NASA has done a lot of research, and several small-scale models have demonstrated feasibility. Engineers at McDonnell Douglas made some advanced studies prior to the company's acquisition by Boeing. The most likely application is in very large transports to compete with the A380. The technology faces some problems, however, especially in passenger cabin design. Passengers can't sit very far from the center axis before g-forces become too great during turns and turbulence. Most seats will be windowless. But any design that promises efficiency improvements of as high as 35 to 50 percent won't be ignored forever. Despite the Concorde's problems, the era of the supersonic transport (SST) may not be over for good. Even before Concorde actually started flying, FAA and Boeing studies of the B2707 proposal showed substantial improvements in economics. And since then, several sources have developed and tested approaches that minimize sonic boom to near-undetectable levels. Prior to the dramatic rise in fuel costs, Boeing seriously floated the idea of a low-Mach, no-boom, slightly supersonic plane—which the airlines apparently found too expensive. Then, later, Boeing proposed a similar design for a high-subsonic "Sonic Cruiser," which died as soon as fuel prices spiked. The next civilian supersonic plane will undoubtedly be a business transport rather than a large airliner (when corporate CEO egos and head-of-state pretensions are involved, costs don't matter so much). Several U.S. companies are pursuing design studies, some in cooperation with Russian partners. 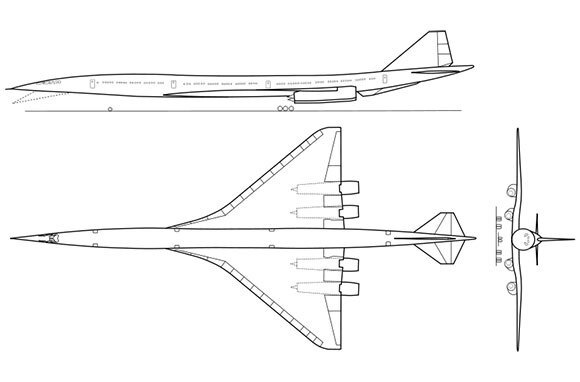 So, don't be surprised if somebody actually decides to build a 200 to 300-passenger SST sometime over the next 20 years. And given the high risks, don't be surprised if the initiative comes from China or Russia rather than the U.S., Europe, or Japan.